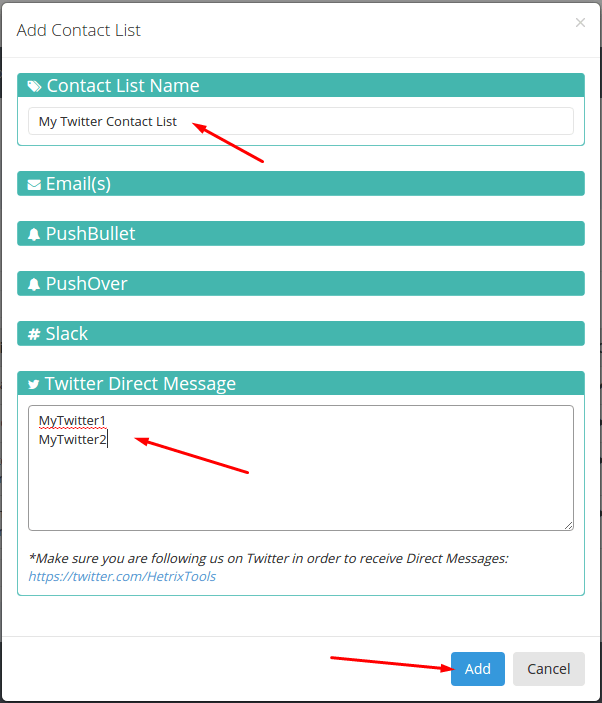 You can add one or more Twitter Usernames to your contact lists. These usernames will receive Direct Message notifications from our system whenever said contact list is to be notified. Make sure you are following HetrixTools on any Twitter Username you are adding to your contact lists, or else our system will not be able to send you direct messages on Twitter.